Kelly was raised in a Jewish home, on the West Coast of California. After completing undergraduate and graduate schools, he ended up in Montana where he ran a CPA corporation, taught at a college, and was a financial adviser to the governor. While involved in all these secular affairs, he also maintained a Christian financial ministry and was an itinerant Christian seminar speaker. During a Christian leader’s conference in the West Indies, the Lord showed Kelly His broken heart for the lost. Kelly could no longer be content in his comfortable lifestyle in Montana. It was during this time that Kelly realized there were many who had not yet heard the gospel. Shortly thereafter, Kelly was invited to minister in Africa. It was then he saw firsthand the multitudes of unreached people who never heard of Jesus. He knew he could never be content back in his comfort zone in Montana. 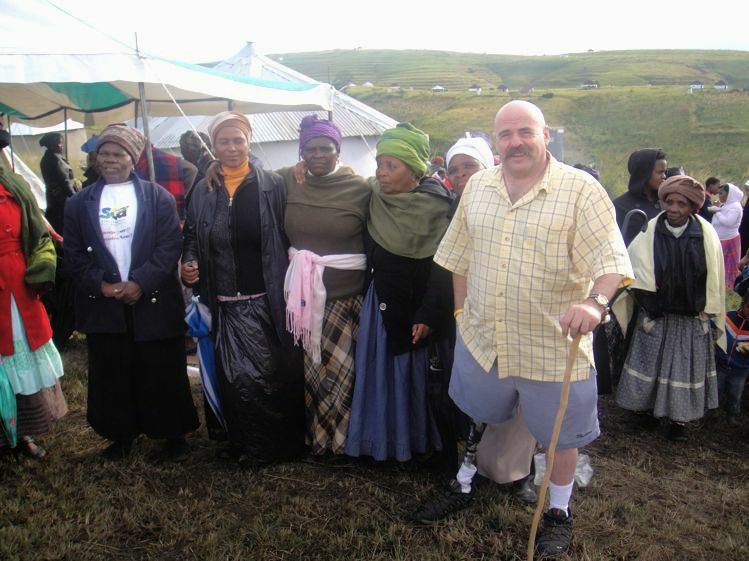 In the mid ’80s Kelly, his wife Kathy and their five children (now six) decided to move permanently to the Republic of the Transkei in Africa to commit their lives to reaching the unreached among the Xhosa tribe. Now, approximately 30 years later, the Lord has worked through their ministry to reach tens of thousands of Xhosa people. The Lord has started over 100 Xhosa speaking churches through the Koskys. It is difficult to determine how many thousands of people are part of the mission but we do know that the Lord is currently moving mightily among the Xhosa people. Approximately 20 years ago the Koskys established a Xhosa Bible School which has continually grown. There are over 100 Xhosa leaders whom the Koskys are discipling and are in great need of structured Bible training. In addition the Koskys have recently established an HIV/AIDs hospital which serves approx. 78,000 Every year. This is in addition to the Children’s Shelter and orphanages (for children whose parents are either dying or dead from AIDs). The mission’s primary focus is to reach the un-reached, the un-preached, the un-teached, and the un-churched villages among the Xhosa tribe. There are tens-of-thousands of villages that are yet to be reached. They haven’t even had the opportunity to say, “no” to Jesus, because no one has made their way to these villages with the Good News. The mission continues to be disappointed in the fact that the developed white South African churches seems to ignore the hidden-half of this Dark Continent. As the Koskys go into these unreached villages they initially meet with the chief and the headmen and determine if they are sincerely open to allowing the team to share about a living/loving God (as their basic religious belief is to worship and sacrifice to the spirits of their dead ancestors). 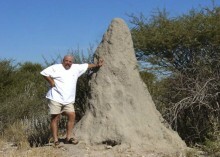 The Koskys typically start their meetings (held in a mud hut with a grass roof and dung floor) after sunset and continue through the night until sunrise. On a typical night 30-100 Xhosa villagers commit their lives to Jesus. But as a mission, the Great Commission is not just to make converts, but to make disciples of all nations. We are committed to discipling these new converts into maturity in Christ. The Koskys do this by leaving one or more of the Xhosa apostolic team members in the newly reached village to disciple the new converts; or they may take one or more of the new converts with them to be discipled by our Xhosa Christian leaders. Churches seem to start up everywhere and the demand for discipleship is overwhelming. As previously mentioned, the Koskys started a Xhosa Bible College in 2000 to help in the training of Bible based leaders. Having lived and ministered in Africa for approximately 30 years the Koskys now help to direct Transkei Victory Christian Ministries, the ministry to the rural tribal Xhosa villages. The Transkei is 80% women, as the men are shipped to the white factories and mines of South Africa, to work underground. These men hope that someday they will have saved enough money to buy a wife. Once they begin to earn money in the townships (black ghettos) however, they are reluctant to return to the village lifestyle. 27 years ago the Koskys extended their ministry to reach these men who live in the city townships (shack towns). Kelly is also the director of African New Life Ministries, which is focused on the Xhosa people living in the townships (ghettos) and whom are more western in their lifestyle, but yet have suffered greatly under Apartheid. As to accountability, the Koskys are governed by a board of trustees and an advisory board. They have the authority to govern and take whatever action is necessary to continue the work that the Lord has entrusted to the Koskys. In the States the Koskys have an advisory board who have been out to Africa and understands the nature of the Mission, and gives direct input into the Koskys. In addition, the Koskys work with World Outreach Ministries in Marietta, GA who gives oversight to all their financial affairs. References can easily be provided about the the work the Lord is doing in Africa, if required.